The Backup Agent is a tool designed to help streamline the backup process by putting all open files into Continuous Operations Mode. For more information about this process, please see our main web site's Backup Agent page. 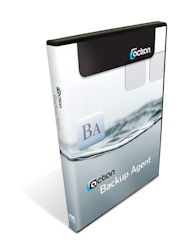 Backup Agent v12 is designed for use with Actian PSQL v12 ONLY. If you currently have a PSQL v12 Server Engine, or if you have a PSQL Vx Server 12 Engine, then you can simply download and install the software -- no license is required. If you are running the 32-bit Workgroup Engine, the Backup Agent is available at additional cost. If you are running PSQLV8 or v9, please see our Backup Agent 1.x page. If you are running PSQLv10 or v11, no more Backup Agent licenses are available. If you are running PSQLv13, please see our Backup Agent 13 page.